fun picture. just started following your blog. love the t&s pictures! 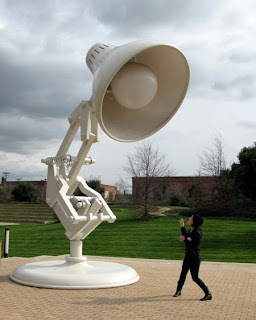 I love Luxo Jr., the short that immortalized that lamp. It really is cute- and Pixar was totally ahead of everyone else with it! Oh man! That is an awesome photo. Pixar is the best!